The Lakers are back and have their sights set on making some noise in the Western Conference. Led by a group of hungry veterans and talented up and comers, Los Angeles is looking to make an impact in the Pacific Division and make themselves heard in a highly competitive Western Conference. Division rivals, the Los Angeles Clippers and the Golden State Warriors will seek to keep the Lakers down. Grab your Los Angeles Lakers tickets and head down to the Staples Center to be apart of your team's championship hunt! The Los Angeles Lakers seem to have lost their rhythm as they have not made it past the regular season for the past five campaigns. During the 2017-18 season, the Lakers finished third in the Pacific Division and eleventh in the Western Conference. Their performances have been worrying fans but with Lebron James joining the team with a 4-year contract, this might be the season when the Lakers finally bounce back. The Los Angeles Lakers are one of the most storied franchises in the history of NBA. Since their inception in 1947, the team has delivered many memorable moments. Here, we take a look at some of them. 1985 NBA Finals – In the 1984-85 season, the Los Angeles Lakers were on fire as they went through the Portland Trail Blazers and the Denver Nuggets to face the Boston Celtics for the NBA Championship. This was not the first time these two sides had locked horns.The Lakers had faced the Celtics eight times for the top prize before and had lostthem all. 1985 looked no different as they were dominated by the Celtics in Game 1, 148-114. However, the Lakers fought back and went to Boston for Game 6 with a 3-2 lead. That day, Kareem Abdul-Jabbar played brilliantly and he not just scored 29 points but also grabbed seven rebounds. He also hit a hook shot over Robert Parish which gave his team the big win and ended the Celtics dominance. 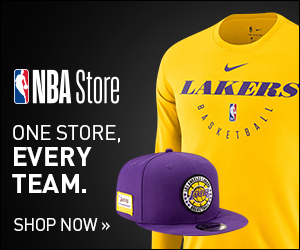 Winning three NBA Championships in a row – No fan of the Los Angeles Lakers can ever forget how exceptionally well the team played in the 1999-00, 2000-01 and 2001-02 seasons. They not only qualified for the postseason but also went on to clinch three consecutive NBA titles by defeating the Indiana Pacers, the Philadelphia 76ers and the New Jersey Nets respectively. The Los Angeles Lakers share intense rivalries with the Los Angeles Clippers and the Boston Celtics. Lakers-Clippers Rivalry – The Lakers and the Clippers’ rivalry originated when the latter moved to Los Angeles in 1984. Both teams are placed in the Western Conference Pacific Division. They most recently played each other on April 2, 2017 where the Clippers defeated the Lakers, 115-104 at the Staples Center. Lakers - Celtics Rivalry – This rivalry between the Los Angeles Lakers and the Boston Celtics is called the best in the NBA. These two sides have locked horns twelve times for the NBA Championship, starting with their first meeting in 1959. Their rivalry intensified when the Lakers defeated the Celtics for the top prize on their home court, the TD Garden in 1985. They last competed for the NBA title in 2010 which the Lakers won, 4-3. Owned and operated by the L.A. Arena Company and Anschutz Entertainment Group, the Staples Center is home to the former sixteen-time NBA Champions, the Los Angeles Lakers. At the heart of revitalized downtown Los Angeles, Staples Center is part of the Vegas-like LA Live complex which also boasts top concert venue Nokia Center and the LA Convention Center. With the ESPN LA studios, hotels and some of the best restaurants, bars and clubs in the city, there’s all kind of fun to be had before and after the game. Once you get inside Staples, you’re in one of the great sports arenas on the planet. With the all the championship banners and passionate fans, Staples is as good as it gets. While Southern California fans often get grief for showing up late, few cities support their beloved teams like Los Angeles. The Lakers owe a big part of their success to players like Kobe Bryant, Jim Pollard, Gary Payton, Slater Martin and Mitch Richmond. These stars have been inducted in the Los Angeles Lakers’ Hall of Fame. Another player who proved to be an important asset to the team is Kareem Abdul-Jabbar. He remained on the Lakers’ roster from 1975 to 1989. During his time with the team, he was honored with NBA Most Valuable Player Award three times in 1976, 1977 and 1980. Kareem was also selected six times in the All-NBA First Team. Then there is Magic Johnson who played point guard for the Los Angeles Lakers for thirteen seasons. While with the team, he has appeared in twelve NBA All-Star Games. On March 20, 1989, the Lakers honored Johnson by retiring his number 33. As of now, he is the president of basketball operations of the Los Angeles Lakers. The last five years have been tough for the Los Angeles Lakers as they haven’t qualified for the playoffs since 2012-13 season. With the 2017-2018 is just around the corner and best basketball player in the world on their team, will the Lakers be able to return to its glory days? There is only one way to find out and that is by getting your hands on Los Angeles Lakers tickets 2018. Do it today because they are high in demand. Our process for purchasing cheap Los Angeles Lakers tickets is simple and fast. There are so many online ticketing sites, that it can be hard for customers to find the right place to buy Los Angeles Lakers tickets at the cheapest price. At ScoreBig we think of our customers first and foremost. We offer daily deals for Los Angeles Lakers events, so our customers can get the best seats for the best prices. ScoreBig will always go above and beyond to offer the cheapest Los Angeles Lakers tickets on the market. The Los Angeles Lakers schedule above, displays all available events for 2019 and 2020. Once you find the event that you would like to go to, click the red “Get Tickets” button. It is located on the right-hand side of the event listing, it will take you to an Los Angeles Lakers event ticket page. ScoreBig's event ticket page will display all available Los Angeles Lakers tickets for that event. On the event ticket page to help with your search for the right Los Angeles Lakers tickets, use the filters at the top to select quantity, price range, and more. There is also an interactive seating chart so you can pick where you want to sit. When you are ready to buy a ticket, click on the listing, and you will be directed to ScoreBig's checkout page. Upon completion of the information fields, your order will be processed and your Los Angeles Lakers tickets will be delivered via email, mail, or to your mobile device. What makes ScoreBig’s site stand out from the rest? We are constantly analyzing our competitors to improve our site, service, and prices. ScoreBig.com employees strive to offer the best process and experience to buy cheap Los Angeles Lakers tickets. Our goal is to get you the best seats to Los Angeles Lakers events. We offer daily discounts on our site and for special promotions check out our newsletter. If there are no Los Angeles Lakers events currently available, you can use our search feature at the top of the page to see a list of all popular events going on near you. No matter your price point, we have all the best deals and discounts on Los Angeles Lakers tickets. For more information on prices of Los Angeles Lakers tickets and the schedule for Los Angeles Lakers, check out our listings above. The last thing you want to find out is when the Los Angeles Lakers event you wanted to go to is sold-out. Don’t worry in many cases ScoreBig has affordable tickets to sold out events. We sell tickets from GA all the way to premium seating and parking. Skip the scalpers in the parking lot and get your tickets online from top Los Angeles Lakers ticket brokers. We get you in all events, buy your Los Angeles Lakers tickets here from a brand that many trust and rely on for all their ticketing needs. ScoreBig offers a 100% money-back guarantee. If you have been in search of cheap tickets for Los Angeles Lakers, ScoreBig by far is the best option. That’s why ScoreBig has more loyal customers than any other ticketing site. Shop at ScoreBig for safe and secure Los Angeles Lakers event tickets.